Kristen Hackett is a researcher-scholar-activist living and working in New York City. She is pursuing a PhD in Environmental Psychology Program at the Graduate Center of the City of New York. 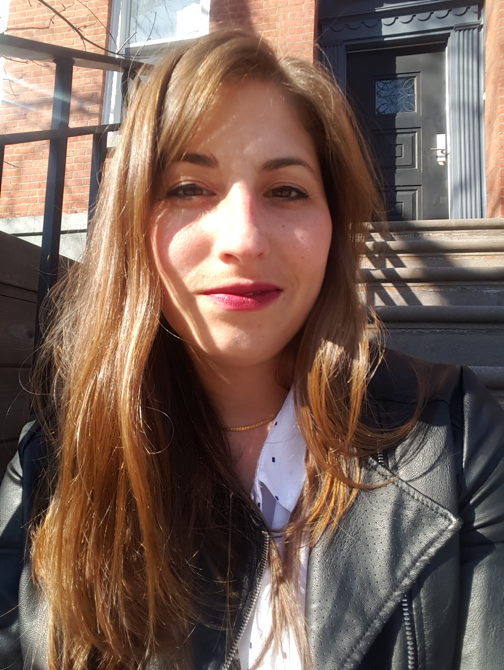 Her research interests are in housing and community development in NYC, political and social responses to increasing insecurity and precarity and how art and technology can be used in consciousness-raising and resistance efforts and to advocate for community/human-centered policy development. For her dissertation, Kristen is exploring these themes through the lens a proposed rezoning in Long Island City, NY. These interests – passions, really – have guided her past and present research endeavors – including her recent project entitled ‘Walking in My Shoes‘ – as well as her professional pursuits. In this vein, she currently works as a Digital Fellow in the Digital Scholarship Lab at the CUNY Gradaute Center, as a Digital Pedagogy Fellow with City Tech’s OpenLab, as the Coordinator of Organization and Action with OpenCUNY and as an Adjunct faculty member in the Urban Studies Department at Queens College. Kristen is also a past Chair of the Graduate Student Committee of the Society for the Psychological Study of Social Issues (SPSSI) and a member of the Long Island City-Based Steering Committee of the Justice for All Coalition, a Community Organization fighting for ‘real affordable housing and equal opportunities for good careers’.